With this work I decided I wanted to paint a “bird” painting. The thought crossed my mind of doing a bird on a twig type of painting but as usual I’ve ended up doing something bigger and a lot more involved. 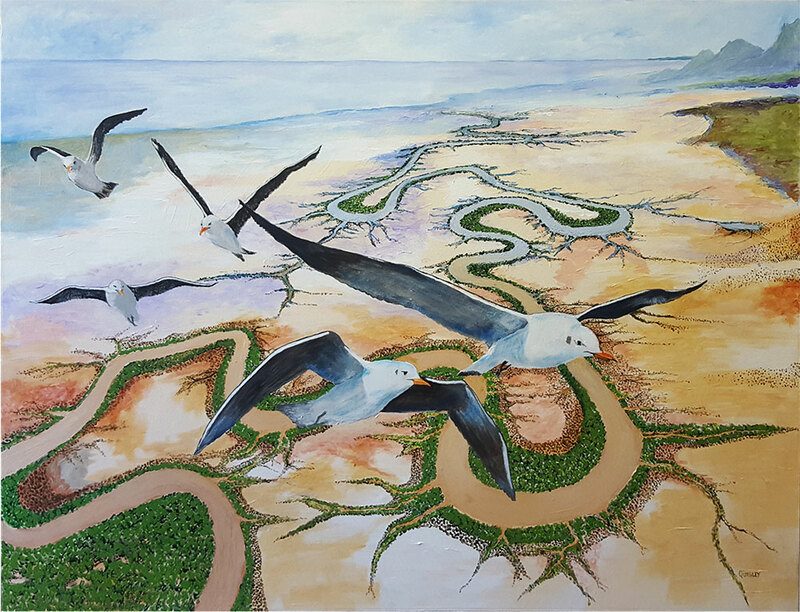 This one is titled “Flying high over the Saltpans” – Acrylic on canvas. Unframed – A Large painting 1010cm x 76cm. 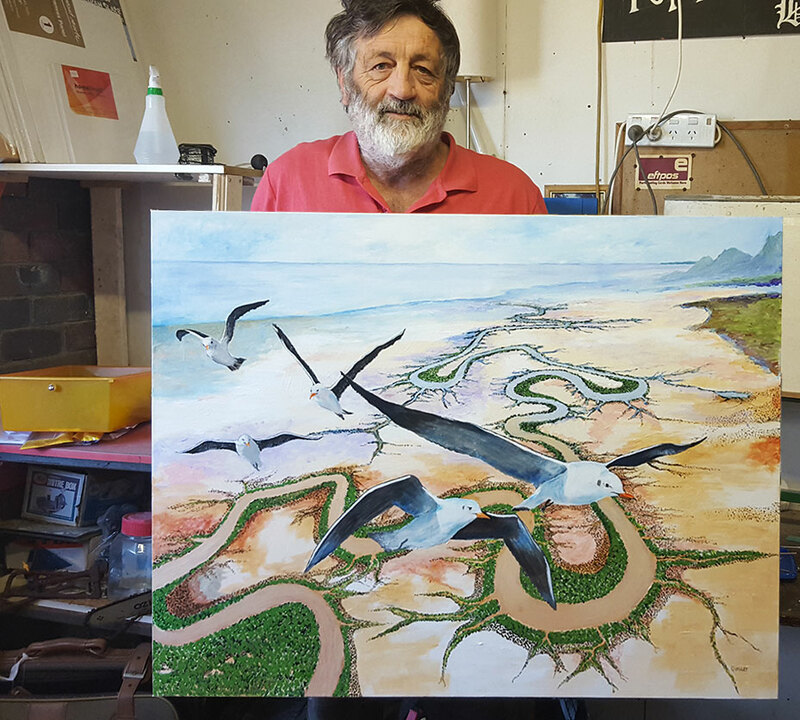 Priced $520.00 and was part of the Spring 2017 Exhibition at the Emu Park Art Gallery. Call Jeff on 49396587 if you are interested in purchasing “Flying High over the Saltpans”.